If you have no health insurance, more and more car accident victims are being held personally liable for resulting doctors’ bills. Many claimants are being forced to choose between the lesser of two evils: a quick but low settlement or a larger settlement which takes longer to recover. 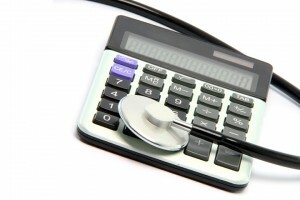 The problem with the latter option is that your medical bills may go into collections and negatively affect your credit. The civil litigation attorneys of Maginnis Law can help. Our attorneys take an aggressive approach when representing clients who have no health insurance. By filing a lawsuit early, we can put the at-fault driver’s automobile insurance company on the defensive. Rather than pay a defense attorney to answer and participate in a lawsuit where there is clear liability, many insurers will simply put their best offer on the table earlier than they otherwise might. To speak with one of Maginnis Law’s car accident personal injury lawyers call 919.526.0450 or submit an email inquiry using our contact page. If you do not have health insurance and are treated at an emergency room, the hospital has an immediate right to pursue the cost of your treatment. While we are able to work out arrangements with some medical providers whereby they will cease collections on an account in exchange for us protecting their “lien” against your settlement funds, some medical providers will put your case into collections as soon as they have a chance. In these situations it is important you have counsel to discuss your options. Should your medical bills go into collections, our civil litigation attorneys are also able to assist through their knowledge of unfair debt collection laws. We regularly represent debtors against unethical debt collectors and can work to protect you from any unlawful collections. Maginnis Law regularly represents personal injury clients in Raleigh, Cary, Durham, Apex, Morrisville, Chapel Hill, Wake Forest, Clayton, and the surrounding Triangle area. All personal injury consultations are offered free of charge. You may reach one of our motor vehicle accident attorneys at 919.526.0450. Maginnis Law handles all personal injury claims on a contingency basis; there are no attorneys’ fees unless you recover financial compensation from the at-fault party or his or her automobile insurance company. Email inquiries regarding cases in Wake, Orange, Durham, Alamance, Johnston, or Chatham County may be submitted via our contact page.